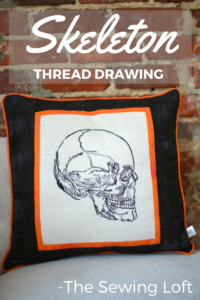 This morning’s reader feature is this fun Skeleton Pillow, submitted by our friend Heather Valentine. 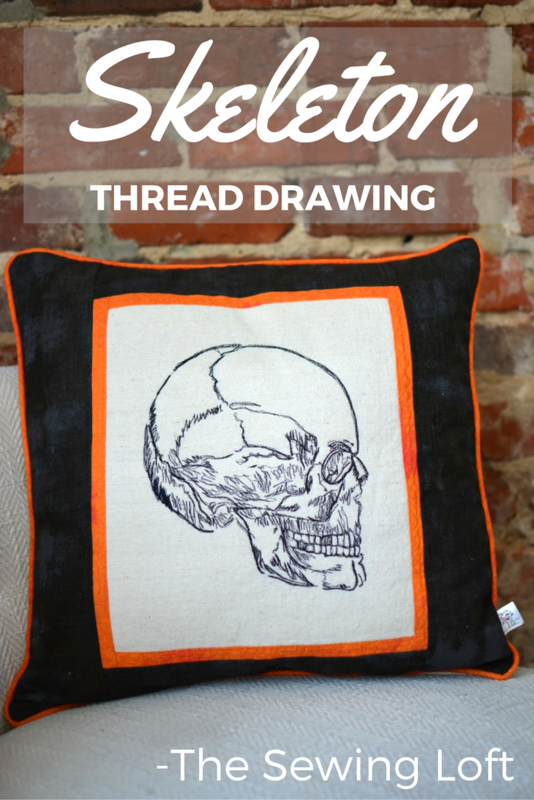 Heather wanted to make something fun and spooky for halloween, so she created this awesome thread drawn pillow. 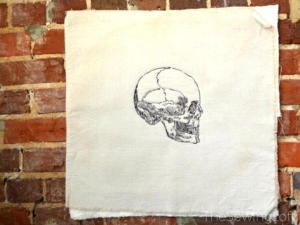 First she printed my Vintage Halloween Skull image, and then traced it onto a wash away stabilizer which was placed on top of the fabric. 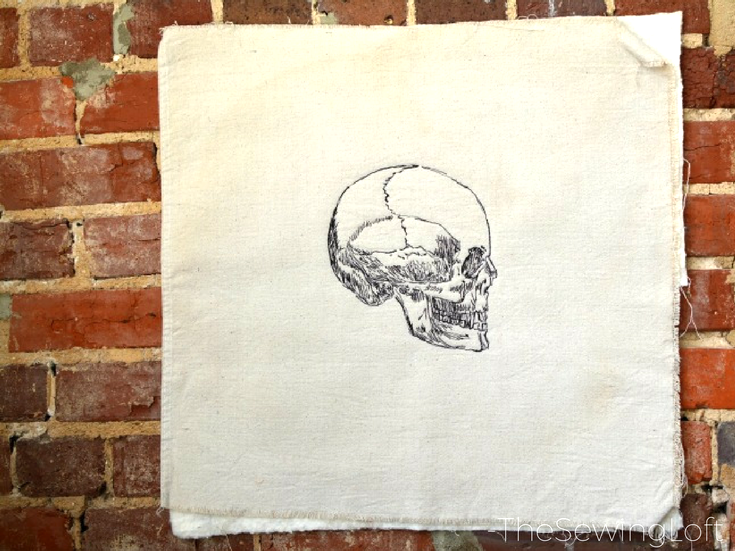 Next she used a contrasting thread to stitch the image onto the pillow. Heather’s final step was spraying the stabilizer so that it would dissolve and pull away without effecting the design. 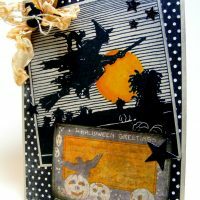 This is such a fabulous project for Halloween! Thank you, Heather, for sharing your talents with us! To visit more of Heather’s projects, please visit her Blog site here. 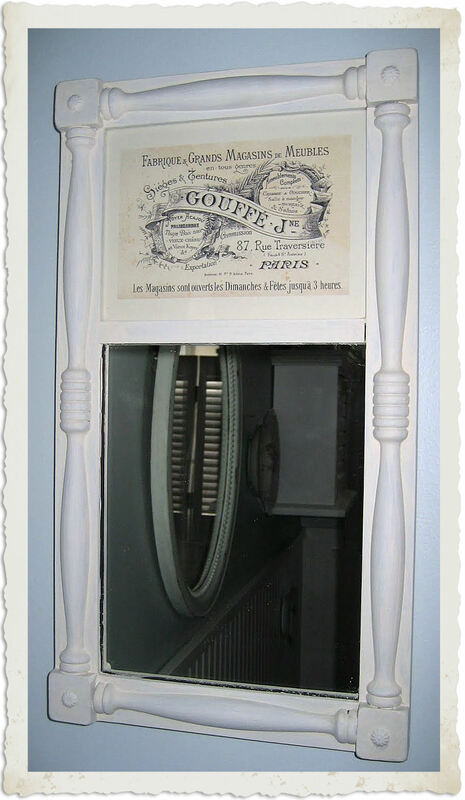 To learn how to transfer images yourself, visit the Transfer Methods Page. « Vintage Lady Riding Bat Image! Hope you’re doing well Jeanine!